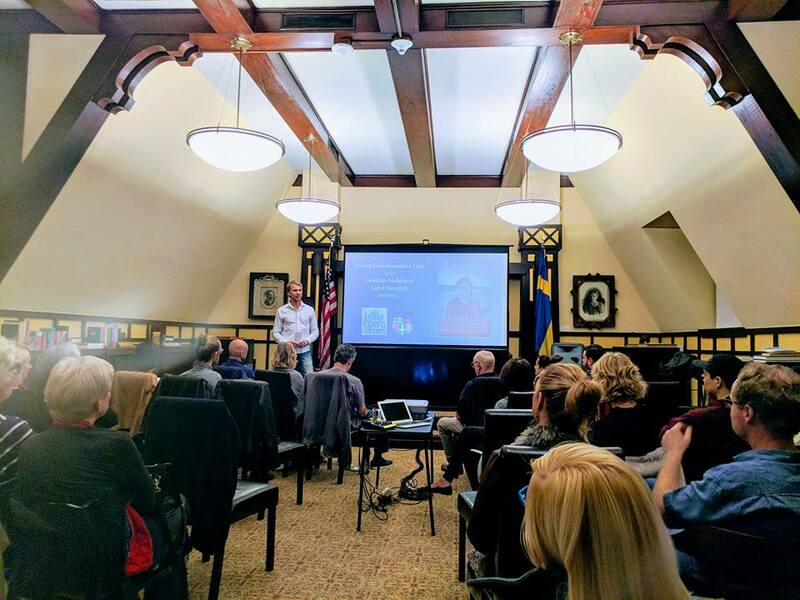 Wednesday night (Feb 7th, 2018) at the Swedish American Hall was the place to be! While swing-dancing took place in our Freja main hall, the Young Scandinavian Club members joined together for its first movie night. A popular event in the mid-2000s, the film night is back and hosted by the same YSC member today, Andrew Vik. Partnering with Vik in the presentation was Swedish Society of San Francisco president Ted Olson. 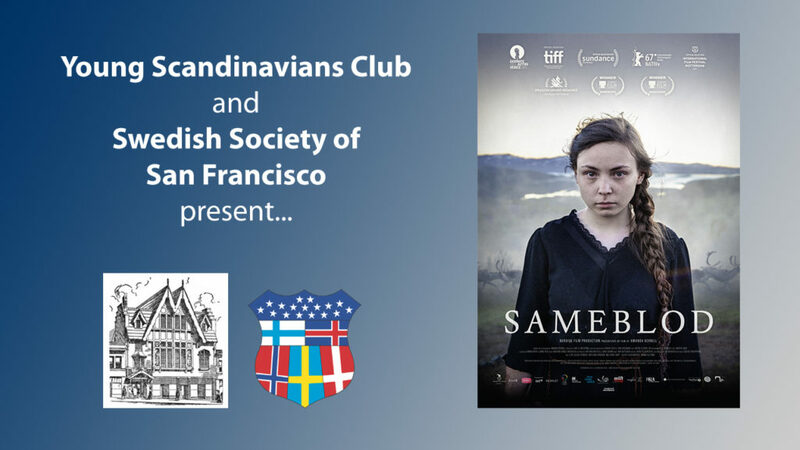 With a full-house, the club was treated to a viewing of “Sami Blod” (2016), a coming-of-age story of a reindeer-breeding Sami teen, Elle-Marja, and her attempt to escape the racism of Lappland the 1930’s. Elle-Marja and her sister Njenna are sent to state school where indigenous students are groomed to assimilate into Swedish society. The story unfolds as to how they struggle to hold on to their cultural traditions and the crumbling bond between two sisters. The film won the top film prize in Göteborg Film Festival 2017 and the Valhalla Award for Best Nordic Film at the Santa Barbara International Film Festival. When the film won the 2nd prize at the Tokyo International Film Festival, the actress playing Elle-Marja gave an acceptance speech in Sami. 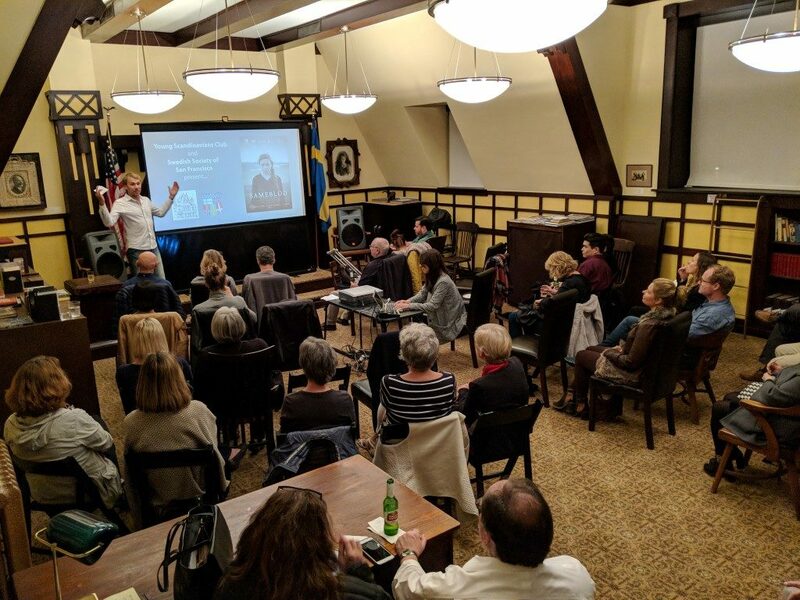 Before the showing of the film, guests were welcomed with refreshments of wine and beer, and light bites in the Svea Room before sitting down in the library. With the high turn-out we saw the first night, the next film screening will be announced very soon. Watch the newsletter and/or Facebook for the details.